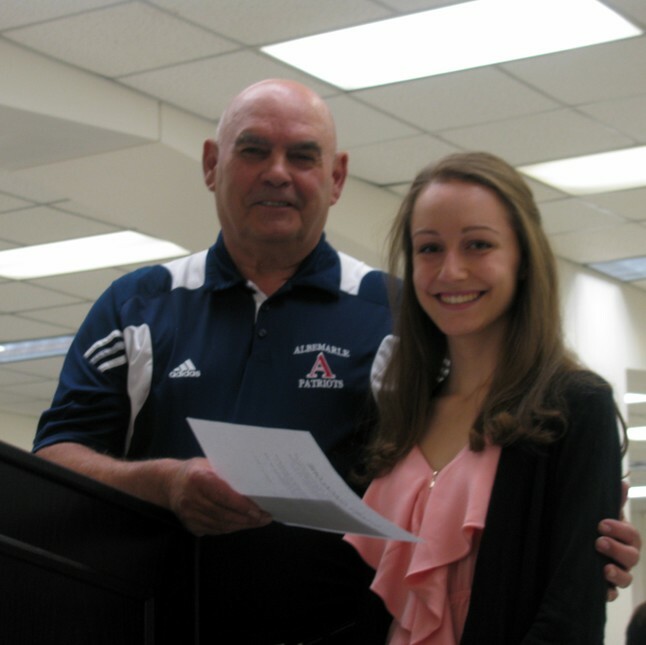 The AHS Alumni Association's first project was the Scholarship Program supporting graduating Albemarle High School seniors. All scholarships are made possible by contributions from Albemarle High School Alumni Association members and, this year, a special fiend of Albemarle and loving grandmother, Shirley Smith. 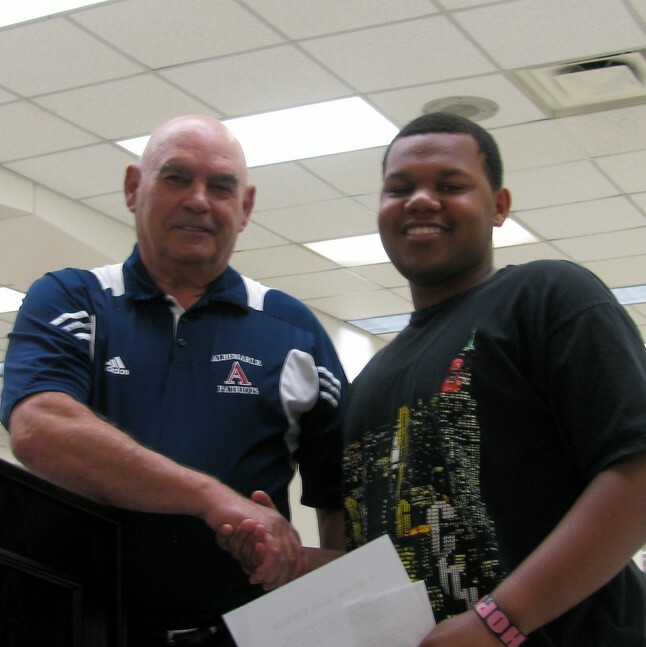 Thank you to all who contributed to our Scholarship Fund. 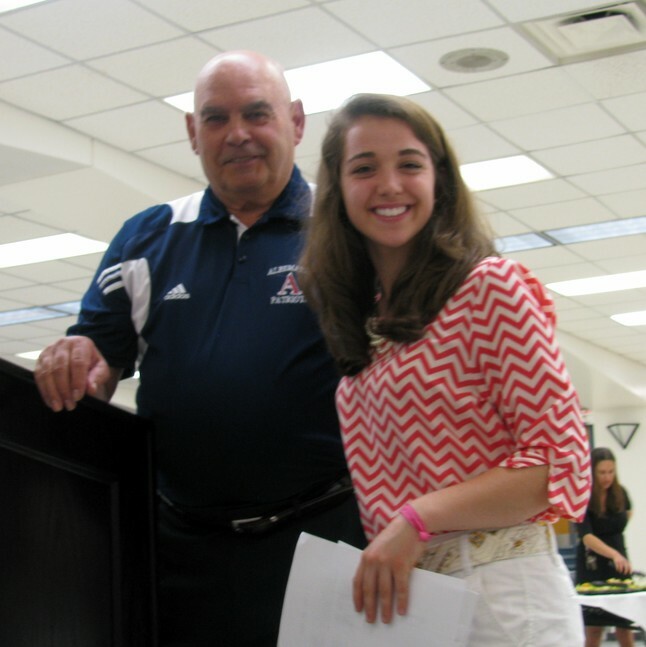 Scholarships are awarded based on need, merit and demonstrated contribution to the Albemarle community. We set a record this year with fifty seven applicants. 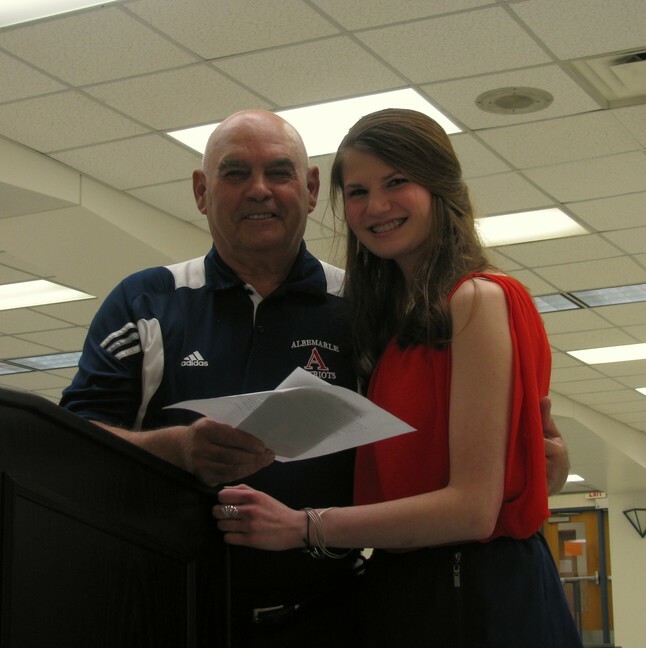 Our 2013 Albemarle High School Alumni Association Scholarship Winners! Sponsored by mother Brenda Hair (1968) and father Gordon Hair. 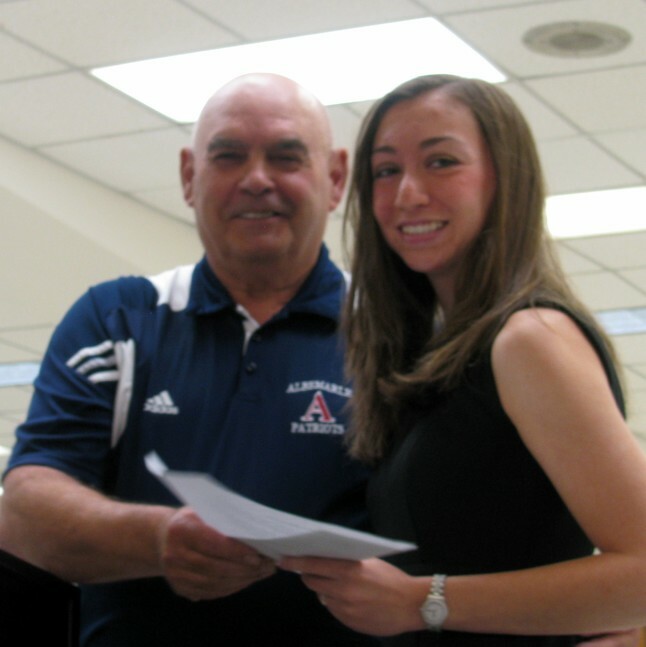 $1,000 Scholarship in honor of Mr. Benjamin F. Hurt, AHS Principal 1954 - 1984.
the Virginia Dofflemyer Scholarship Fund. 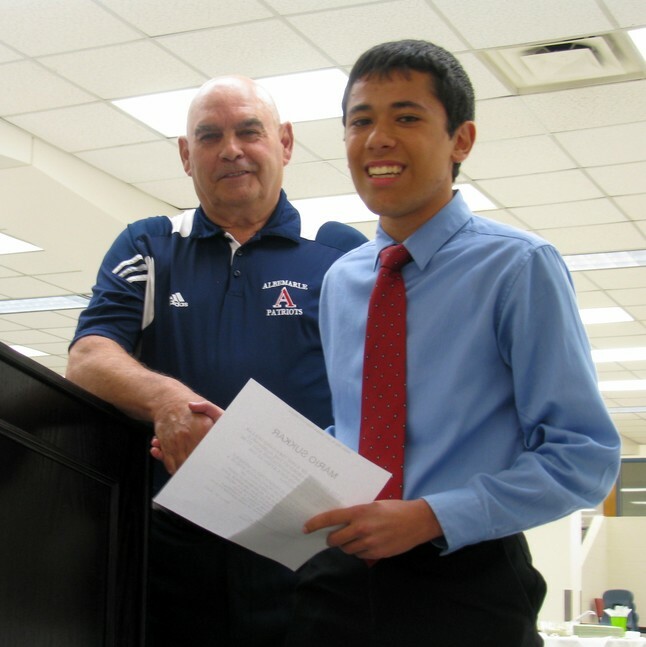 Through the genrosity of its members and supporters, the Alumni Association was able to increase the number of scholarships awarded to deserving AHS seniors for the fourth straight year in 2013.